last week I discussed the future of blogging and the options I've been considering for my own blogging future and I've come to a decision. For now, and the foreseeable future, I will reduce my blogging schedule to once each fortnight. That will afford me more time to work on my current book and other writing projects. Therefore, this post will be my last until 8 July. After a few months working to this schedule, we can reassess and decide what my future schedule can look like. In the meantime, here I am in Rome, still working away on the book that cannot be named. I think I mentioned that I'm on the lookout for a new publisher or agent. To that end, my publicist nagged me incessantly about preparing the first three chapters of the new book, along with a synopsis, that can be submitted to prospects. I will be, however, happy to go down the self-publishing track if we don't get the deal we're after and the one and only deal breaker on my list is the cover design of the book. 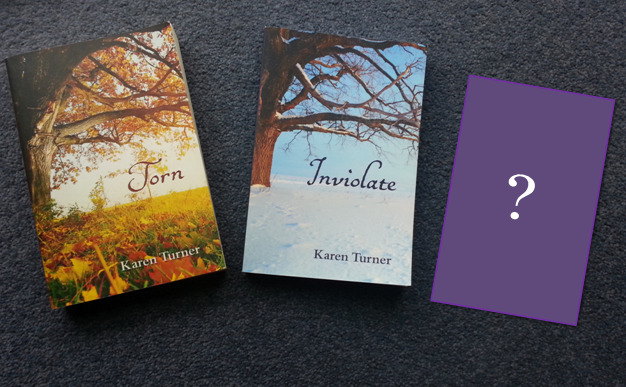 Torn and Inviolate both have very distinctive covers, both of which I fought for and defended against a publisher that wanted something else. Both covers, I am proud to say, attracted enormous feedback - all of it positive which, my publisher was gracious enough to admit was thanks to my refusal to budge. The cover design of the third book will be the same 'oak-tree' theme. The photographs for the design have already been purchased - this design will go ahead, but of course I can't show it to you yet. Needless to say, I have told my publicist that any potention publisher or agent must agree to allow me to use my design otherwise we will have no deal. In a world where vanity publishing is rife, I am not afraid to go down the self-publishing road for this book if it means getting my chosen cover. For serious writers - not vanity writers - one of the benefits of self-publishing is the freedom to choose. So as I continue to work through the second draft of the book that cannot be named, I am growing increasingly excited at how it's coming together. That, of course, doesn't eliminate the doubts. I still have moments - big, huge, monstrous moments where I seriously question what I'm doing and why I think I should could myself a writer - although such self doubt is probably normal. There are other moments where I think, yep, this is gonna be good. Naturally, I won't be the final judge, and there's a long way to go yet. Slowly, slowly. So that's all for today. I can't say, until next week now, can I? What should I say? See you in 14 maybe? So be it: see you in 14. 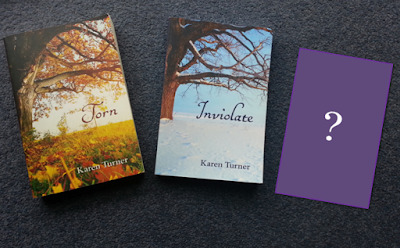 Cover designs - Torn and Inviolate - I fought for these designs and won. I wouldn't have them any other way.